Summer Wind Plantation offers an active adult lifestyle with many amenities, activities, and outdoor adventures. This positivity is projected by the logo’s image of warm sunlight. 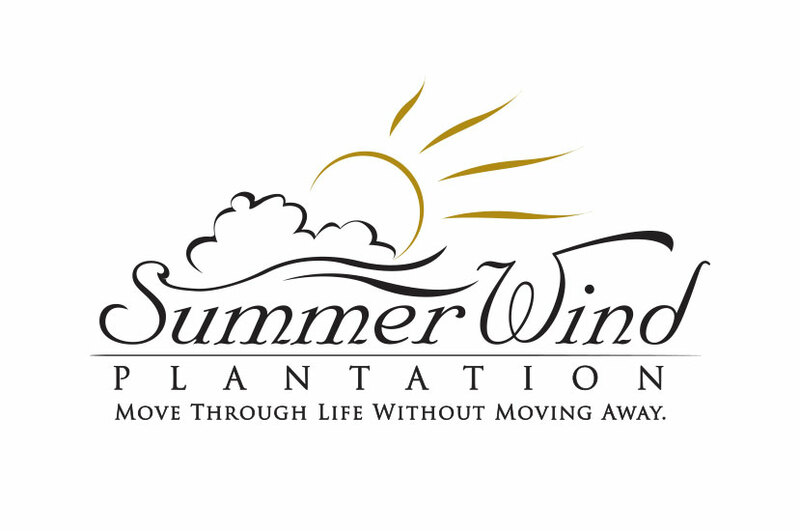 The Summer Wind Plantation logo incorporates slanted typography and the illustration of whispy clouds – you can almost feel the warm summer breeze. This playful logo is indicative of the careful lifestyle you can find in the Summer Wind Plantation community. From a pool to walking trails, this community beckons to those that love that playful summer atmosphere. We tried to capture that through the logo while still maintaining a clean design.